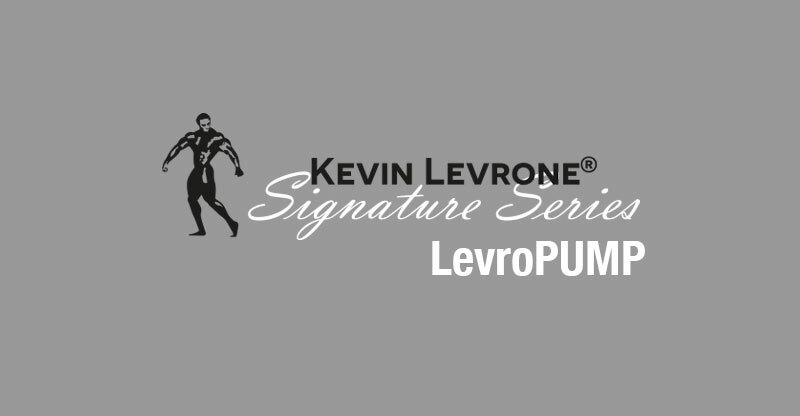 Today we’re going to take a look at IFBB Pro Kevin Levrone’s LevroPump from the Kevin Levrone Signature Series range. So, we decided to sample this pre workout! Before we get onto our own opinion of the product, first let’s take a look at some facts about it. LevroPump is an advanced pre – workout supplement designed to maximize ‘muscle pump’. It was created to meet the needs of individuals who are going to be going through intense muscle training, LevroPump provides your body with the nutrients required for intense workouts helping you achieve maximum muscular pump whilst at the same time the delivery of nutrients. The product Delivers 4000 mg of beta-alanine, 2000 mg of arginine AKG, 1000 mg of agmatine sulphate, 1500mg of citrulline malate and 1000 mg of taurine in every portion. Beta-alanine (as CarnoSyn®), arginine alphaketoglutarate (AKG), citrulline malate, agmatine sulphate (as AgmaMAX®), tyrosine, taurine, anti-caking agent (silicon dioxide), fl­avourings, caffeine, bitter orange extract (6% synephrine), acidity regulator (citric acid), alpha lipoic acid, sweetener (sucralose), cayenne pepper extract (95% capsaicin), colour (chlorophiline). Mix 2 scoops of LevroPump powder (12 g) with 200- 250 ml of water. Drink 1 portion before a workout. It contains sweetener. There is high caffeine content. Not recommended for children or pregnant or breast-feeding women (200 mg/dose). Do not use if you are allergic to any of the product compounds. Do not exceed the recommended daily dose. Food supplements should not be used as a substitute for a varied and well-balanced diet. A varied and balanced diet and a healthy lifestyle are recommended. Keep out of reach of young children. Do not use with alcohol. Best kept in a cool and dry place. Protect from direct sunlight. AgmaMAX® is registered trademark owned by Vitajoy USA Inc.
I’d just like to point out I don’t particularly stick to one pre workout, I like to test products from time to time, but I can say I have tried my fair share of pre workouts along the way on one off occasions! I am writing this review because I was so impressed by it. I decided to try the Raspberry flavour; I found it was very smooth and fruity, easy to drink and it wasn’t too tangy which I do find in a lot of other pre workouts I have tried before. I drank the pre workout prior to setting off to the gym which is a 2 mile car journey from my home (approximately 5-10 minutes journey). To be perfectly honest with you 15-20 minutes after taking it I thought at first it wasn’t very intense, nothing like when I have tried other pre workouts which appeared to give me the ‘buzz’ much quicker. I started my shoulder workout pretty disappointed. After warming up my rotator cuffs and a few warm up sets, the tingling feeling began to hit me like a rocket. Not sounding too cheesy the energy came from nowhere! I began my workout fully pumped and focused. Then throughout my workout I came to learn that what Kevin Levrone writes and says about his products is definitely not BS! The workout was adequately fuelled and my shoulders were insanely pumped throughout. I could really tell the difference of using this product as I noticed a massive difference in my intensity and the overall pump. As far as pre workouts go in my honest opinion this was right up there with the best I have tried. The only negative I can really say is that the tingling sensation is great when working out and you’re in the zone, however it didn’t seem to wear off for a good few hours after which was a little annoying when back home! Other pre workouts did wear off pretty quickly after a session which was nice but at the same time other pre workouts I have tried didn’t give me the insane pump and energy like this one did! So I suppose I can’t have it all my own way! It’s safe to say that this is one of the best pre workouts I have tried recently. I am pretty sure I am going to keep on with LevroPump, especially on back and leg days! I’m looking forward to trying the other available flavours on the line. Overall a great job by Kevin and his team!